This book is a well-rounded portrait of China’s current environmental crisis and how it stretches far beyond its geographic borders. 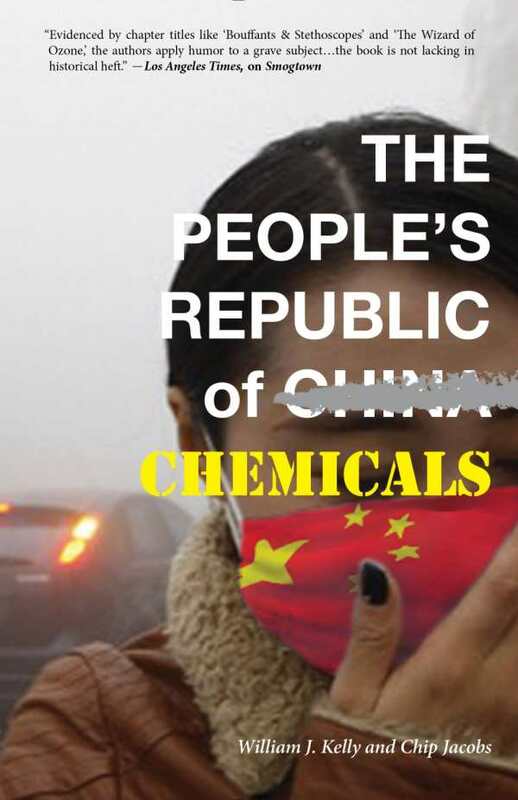 The rapid industrialization of the world’s most populous nation has far-reaching effects for the world’s environment and economy, and in The People’s Republic of Chemicals, journalists William J. Kelly and Chip Jacobs detail how extreme China’s pollution problem has become. The authors do a nice job of mixing firsthand journalism with history and using a reporting style that thoroughly explains an important but potentially wonkish in a way that should make it accessible and interesting to a large audience. Kelly and Jacobs trace China’s current situation back centuries, from the East–West connections formed during Marco Polo’s journeys there, through the growth of China’s coal industry, up through the export-driven economy that has grown in recent decades—and the constant increase in new factories to feed that demand. While industrialization has exploded, it has also created a series of crises in public health, with millions of Chinese adults dying prematurely due to air pollutants. The pollution has obvious implications for climate change worldwide and for health in other nations in the region, and how China deals with the problem will clearly impact the future of international trade and energy policy. The reporters help tell this story by introducing readers to people directly impacted, from villagers dying from illness to activists trying to get accurate information about China’s smog to citizens. A good deal of their reporting involves the 2008 Beijing Olympics, during which many observers got to witness the true extent of Chinese air pollution for the first time, from athletes skipping events due to breathing problems to the visible smog televised around the world. They capture citizen voices by covering large-scale protests, including both marches and social media campaigns. And they report on how industrialization is forcing a country once dominated by agriculture to abandon that for bigger cities and more industry, and therefore more pollution with more dangerous consequences. Using these kinds of examples effectively depicts the human costs of the problem, but Kelly and Jacobs don’t skimp on either the hard science or the policy analysis. They detail how the smog got so bad, using previous smog disasters in California and Japan for context, while explaining why this disaster presents a greater challenge. Similarly, the pair do an outstanding job of showing the causes and effects of the interdependency between American consumers and Chinese manufacturers. The result is a well-rounded portrait of China’s current crisis, how it stretches far beyond its geographic borders, and how crucial it is to solve.